Advanced Battery Pack & Superior Motor- help you work more efficiently for a variety of home projects. All Avidpower products come with Two Years guarantee. If you have ANY issues, please feel free to contact us. Avidpower US Based Customer Support answers your prepurchase and after-sales questions. 15+1 Position Clutch 15+1 torque settings provide precise control for driving in/out screws to prevent stripping, and drilling into wood, ceramics, drywall, plastics and even metal with ease. Max torque for drilling into wood 13/16(20mm) or steel plate 3/8 (10mm). Ergonomic Design Compact and lightweight design with superior motor minimizes fatigue in most daily screwing and drilling tasks; Rubber-covered handle provides a comfortable grip for being breezily operated in one hand. Efficient Working A flexible shaft could be used in some places where driver bits are hard to reach; LED light illuminates dark working areas; Variable speed 0-550RPM with electric brake function provides precise operation. 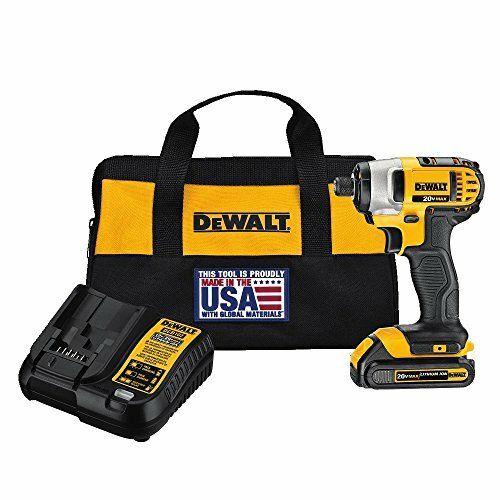 The DEWALT DCF885C1 20V max* 1/4" impact driver kit features a compact (5.55" front to back), lightweight (2.8 lbs) design which fits into tight areas. It has 3 LEDs with 20-second delay after trigger release to provide visibility without shadows. This driver offers one-handed loading with a 1/4" Hex chuck that accepts 1" bit tips. Specs: max torque: 1400.0 in-lbs, no-load speed: 0-2,800, impacts/min: 0-3,200 IPM, 1/4"qr Hex drive. Backed by DEWALT 3 year limited warranty. 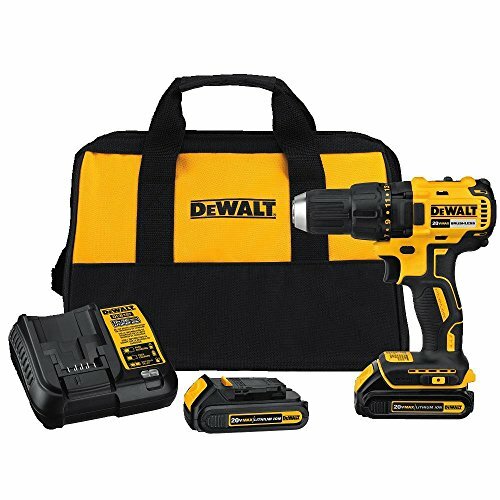 Kit includes: (1) DCF885 impact driver, (1) 20V max* battery (1.5 Ah), (1) fast charger. 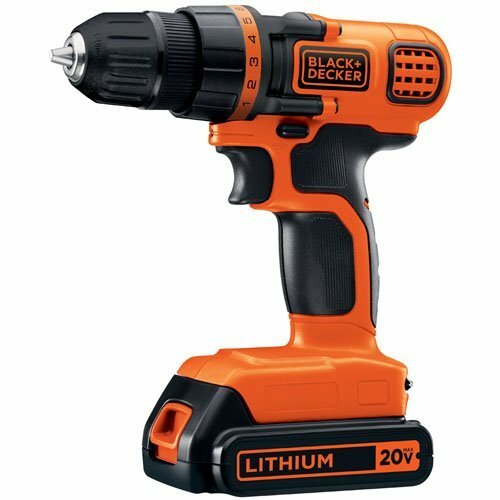 The Black & Decker DR260C 5.5 Amp 3/8" Drill/Driver is powerful and compact, capable of handling tough tasks in tight spaces. This drill operates from 0-1,500 rpm, features a keyless chuck for quick and easy bit changes, along with variable speed for controlled drilling and driving. The on-board bit storage allows for quick access to screwdriving bits. This drill is perfect for drilling holes in wood, metal and plastic, and driving screws to fasten a variety of material. Includes: (1) DR260 Drill/Driver, (1) Double-Ended Screwdriving Bit. 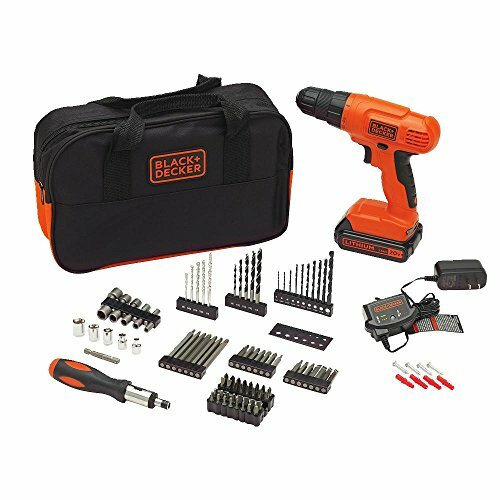 The BLACK+DECKER BDCDD12PK 12V MAX Drill Project Kit features a powerful compact 12V MAX lithium drill/driver and 59 hand tools and accessories most commonly used for DIY projects and household tasks;this home tool kit can help you tackle projects big and small. 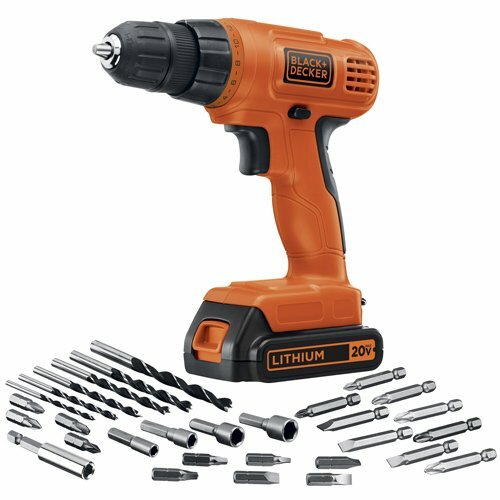 The 12V MAX Lithium drill is 35% more compact than previous GCO1200C NiCad drill/driver.The drill/driver features a mid handle design for comfort and control, along with an LED light to illuminate work surfaces. The lithium ion battery is always ready, and holds a charge up to 18 months. This kit also includes a convenient bag or portability and storage. 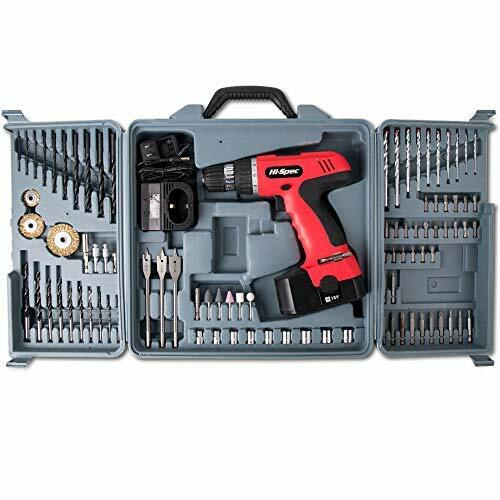 What's included: 12V MAX Drill/Driver, Tool Bag, Hammer, Tape Measure, Adjustable Wrench, Slip Joint Pliers, Ratcheting Screwdriver, Phillips Screwdriver, Slot Screwdriver, Utility Knife, Assorted Nut Drivers, Assorted Screwdriving Bits, Assorted Drill Bits,Level. 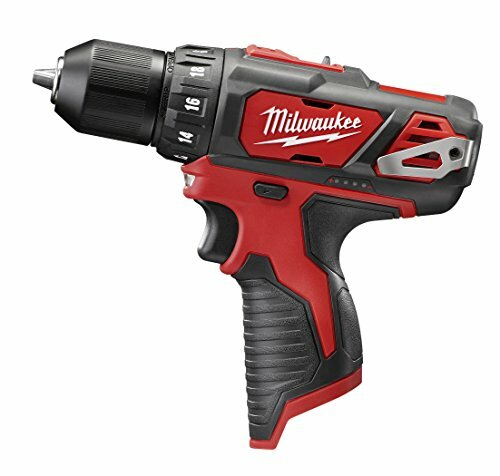 M12 3/8 Drill Driver - Bare. The Product is Easy to Use and Easy to Handle. The Product is Highly Durable. Made In China.This item is shipped in bulk packaging. New ergonomic handle design for increased comfort. On-board battery fuel gauge displays remaining run time. Metal Ratcheting Chuck for maximum durability. 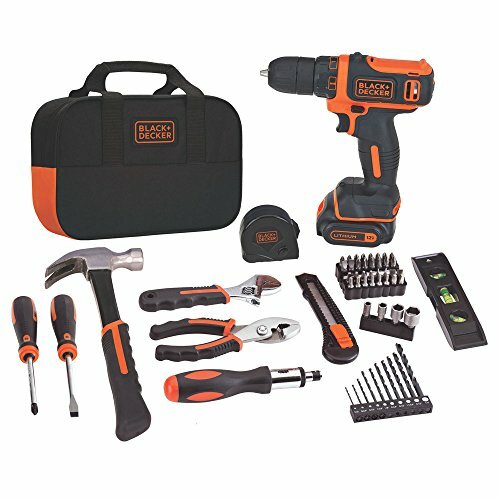 Bare Tool Only - Battery, Charger, and Accessories Not Included. 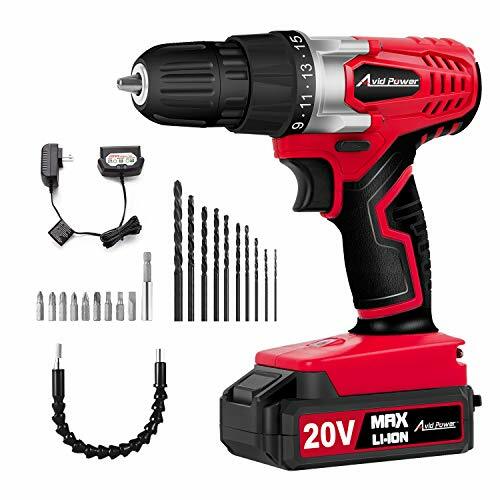 HI-SPEC POWER TOOL 24 MONTH QUALITY GUARANTEE: Satisfaction assured on this Cordless Drill with UL approved charger plug, all neatly stored in a robust blow molded case. 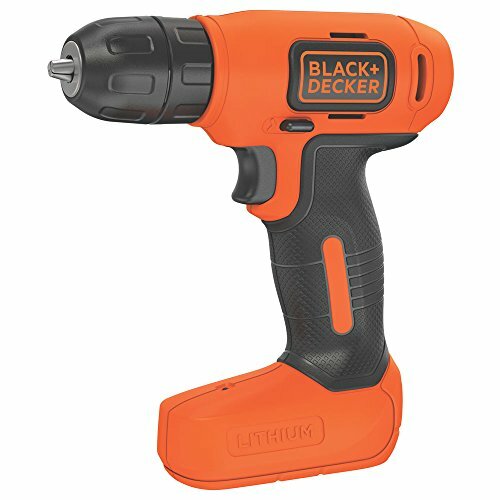 The BLACK+DECKER BDCD8C 8V MAX Lithium Drill is ideal for DIY projects! This drill features a mid-handle design for balance and control and operates at up to 400 rpm. The 3/8" keyless chuck allows for quick and easy bit changes so not to hold up your project. It offers an integrated battery with a micro USB charger that can also be used for charging other household items. 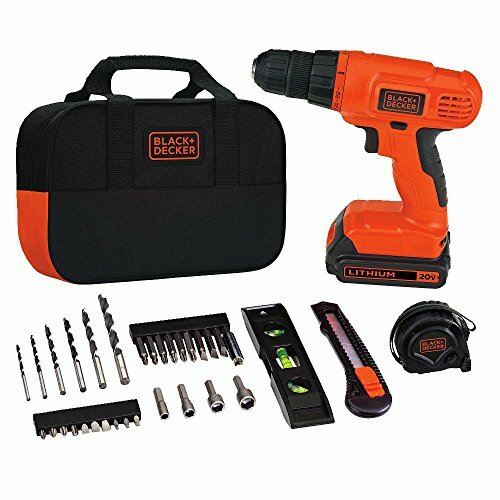 Includes: (1) BDCD8C 8V MAX Drill, (1) Micro USB Charger, (1) Double-Ended Bit. 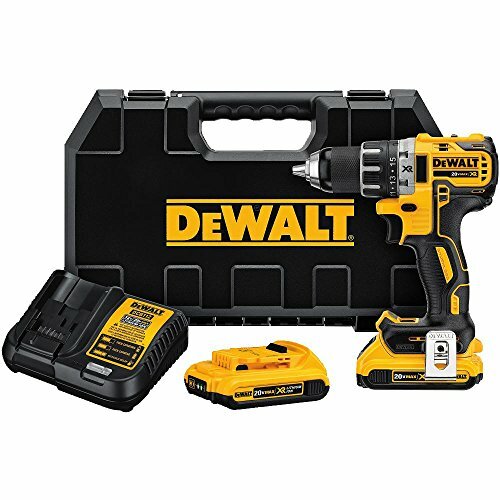 The DEWALT DCD791D2 20V MAX XR Li-Ion 1/2" Compact Drill/Driver Kit (2.0Ah) features a DEWALT brushless motor which delivers up to 57% more run time over brushed. The XR Li-Ion batteries with fuel gauge provide 33% more capacity over standard packs. This unit is compact (6.9" front to back), and lightweight (3.4 lb. ), designed to fit into tight areas. A high speed transmission with 2-speed settings (0-550/0-2,000 RPM) delivers up to 30% faster application speeds, with an ergonomic comfort grip handle that provides ideal balance & tool control. The metal 1/2" ratcheting chuck allows for superior bit gripping strength. This drill also offers a 3-Mode LED that provides lighting in dark or confined spaces (up to 20X brighter than previous model), with a LED spotlight mode that features 20 minute shutoff function allowing for extended work time in dark or confined spaces. 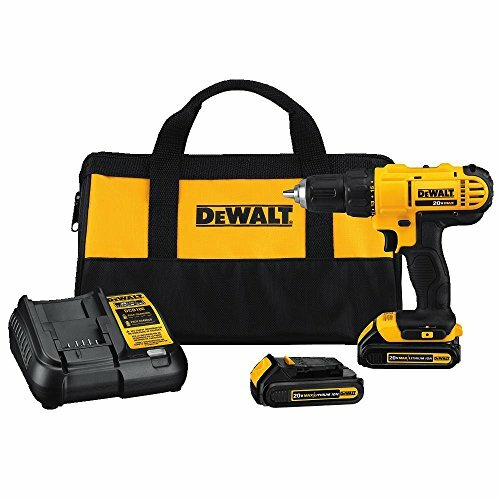 Kit includes: DCD791 - 20V MAX XR Li-Ion BL Compact Drill / Driver, (2) DCB203 - XR 2.0AH Battery Packs, Charger, Kit Box, Belt Hook. Bosch introduces another essential and practical piece for your power tools collection with our 12-Volt, 3/8 Inch, Two Speed Driver, Cordless Drill Set. Experience our premium performance-to-size ratio or power to weight ratio, which allows for accuracy and precision. Perfect for a mechanical technician, plumber, electrician, DIY projects, and overall professional use. Our cordless drill, PS31-2A, has professional-grade power at an incredibly light weight just over two pounds. This performance-to-weight ratio makes this tool a great solution for electricians, plumbers or contractors who do a great deal of over-the-head drilling or driving. It is rated at 265 in.-lbs. of torque, meaning this small-but-mighty unit can be the primary go-to tool for the most professional screwdriving, removal or drilling applications. 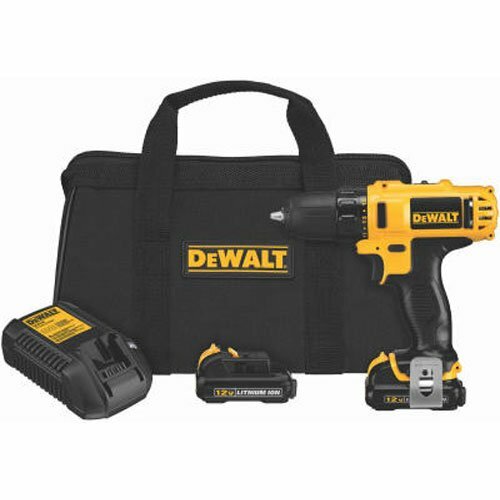 The drill kit includes one (1) 12V 3/8" Power Drill, two (2) 12V lithium ion batteries, one (1) 12V charger, two (2) screwdriver bits, and one (1) contractor bag. Perfect for screw-driving, screw removal, drilling applications, overhead drilling, and contractors. This drill set driver combo has two speeds: 0-350 RPM and 0-1,300 RPM and 20+1 clutch settings, which allows users to make precise torque adjustments for accurate screwdriving and drilling. Each drill is lightweight, cordless, and powerful. 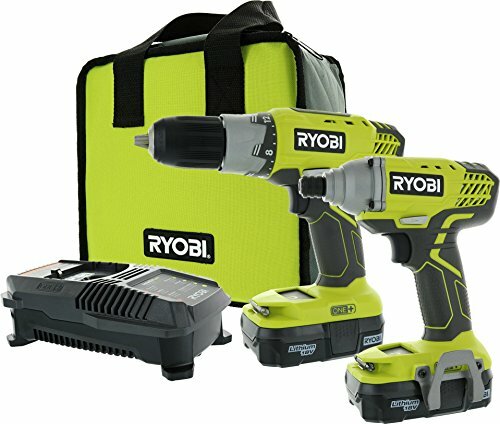 This professional-grade power and incredibly lightweight drill kit are great for hard-to-reach areas and overhead tasks. Experience integrated LED lights for improved visibility in dark corners and low-light areas. The streamlined drill fits into tight workspaces, with a seven (7) inch head length. The short length combined with manageable two (2)-pound body makes easy packing and jobs in tight spaces especially overhead. With this small drill/driver you can work anywhere, anytime. An integrated LED illuminates dark corners and low-light areas so your visibility is never compromised. In addition to providing illumination, this drill driver is also trademarked with Bosch's Electronic Cell Protection (EPC), which extends the run time and life of the tool. 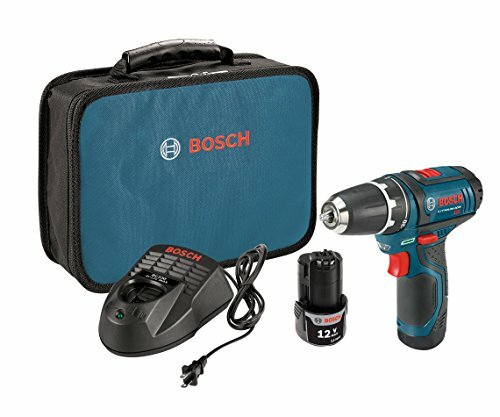 The Bosch 12-volt max drill/driver is backed by Bosch's ProVantage warranty. The first year is a tool replacement guarantee, and the second and third year include the free tool repair pledge. The tool will be under warranty for three years and the batteries for two years. 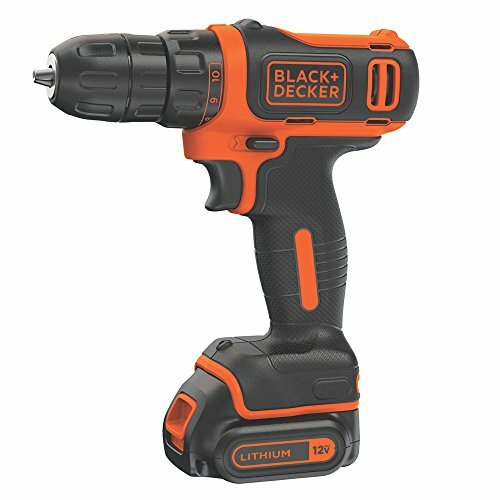 Black + Decker 20v Max Matrix Drill/Driver is a part of the Matrix Quick Connect System. It has a powerful 20v MAX motor which provides enough power for a full range of applications & attachments, and a 3/8-inch chuck. It features a lithium ion battery - Always Ready, holds a charge up to 18 months. This drill/driver is compact and lightweight design that allows users to carry out drilling/driving tasks in confined spaces and with ease. Part of the 20V MAX System - A System that Demands Attention. 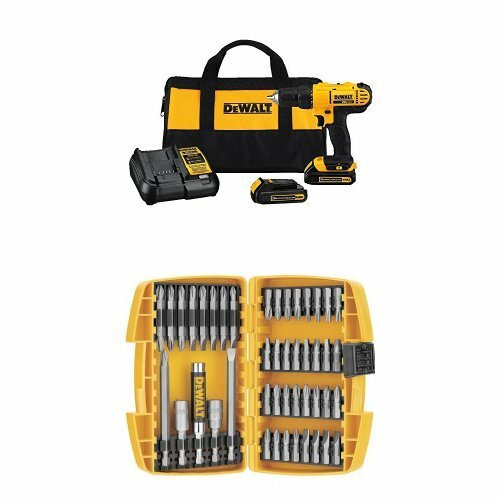 Includes: (1) 20V MAX Power Unit, (1) Drill/Driver Attachment, (1) 20V MAX Lithium Ion Battery, (1) 20V MAX Charger, and (1) Double Ended Bit Tip.